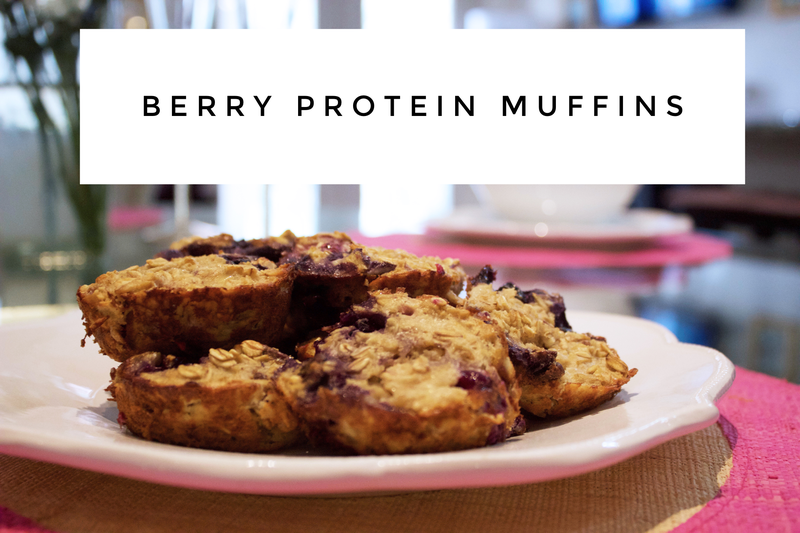 Berry Protein Muffins, yes please!?! I made these muffins last week as a to-go snack and they were amazing. I was wanting something warm and indulgent but I was also craving berries…So I went to my kitchen to experiment and ended up making the most delicious muffins ever. I’m not even kidding you when I say these taste just like a berry cobbler. Whether you like to keep them in your purse as a snack, have them for breakfast, or even a dessert, these muffins are perfect! In a large mixing bowl, mash the halved banana. Afterwards, stir in apple sauce, vanilla, egg whites, and honey until completely mixed. Next, pour the whole oats into the liquid mixture until completely blended. Afterwards, fold in the fruit and walnuts . Spray muffin pan with coconut oil non-stick and pour in the muffin mixture. I love to make pancakes. I easily make them once every weekend and have for the past few years. I have probably tried every single homemade “healthy” pancake on Pinterest lol and they just never taste right! They almost turn out kind of cardboard-y…but none-the-less, I eat them anyways because they are the closest thing to real pancakes that I can get. While browsing through WholeFoods few weeks ago, I came across this Simple Mills brand of Pancake mix and thought why the hell not. So I bought them to try that weekend! To my surprise, these pancakes were SO good!! They are sweet, and taste almost like a french toast pancake. Does that make sense? Anyways, they were absolutely delicious. This Simple Mills pancake mix has kind of made my pancake routine full proof and I no longer have to feel bad for Colton not getting the real deal buttermilk because he loves these too! So if you’re making your family pancakes this weekend, I highly recommend this mix! For pancakes, they are decently low in carbs, sugar, and have 6 grams of protein! Then the only thing you’ll need is 1 TBSP of almond milk, 1 egg, and 1 TBSP of coconut oil! On mine I added a few few blueberries, 1/2 a banana and crushed pecans! Always remember though, that moderation is key. Just because these pancakes are better for you, does not mean you get to eat this whole stack haha. But trust me, you’ll want to because they taste that good! Want to know what I eat for break every single day? Basically What I’ve eaten for breakfast almost every single day for the past 6 years? Well here it is, PB2 & Banana Oatmeal. It is absolutely amazing and so delicious. I would describe it has a warm peanut butter and banana cookie. Oatmeal is by far my favorite thing to have for breakfast. It’s a high carb choice, but it’s filled with the good kind of carbs, which are complex carbs! Your body NEEDS complex carbs to fuel your body & your brain. Complex carbs are great to have for breakfast because it takes your body a long time to digest them! Aka – they will keep you full from breakfast to lunch! Oatmeal helps to lower cholesterol, balances blood sugar and is full of fiber, protein & antioxidants. Sometimes for a little extra protein, I’ll add about a 1/3 scoop of my vanilla protein power in it! Basically, after I eat this in the morning, I am fueled & ready for my day. I shared this recipe before, but wanted to shine some light on it because it is such a staple in my diet. Add the oats, the PB2 & mix together. Add as much water as desired, then mix again. Slice 1/2 banana to add on top. Remove from microwave, stir & add desired amount of cinnamon.